Created by Ben Appenzeller and Dr. Rosemary Ku- Petit Amuse was born out of the goal to bring the unique experience of artisinal eats to your doorstep! 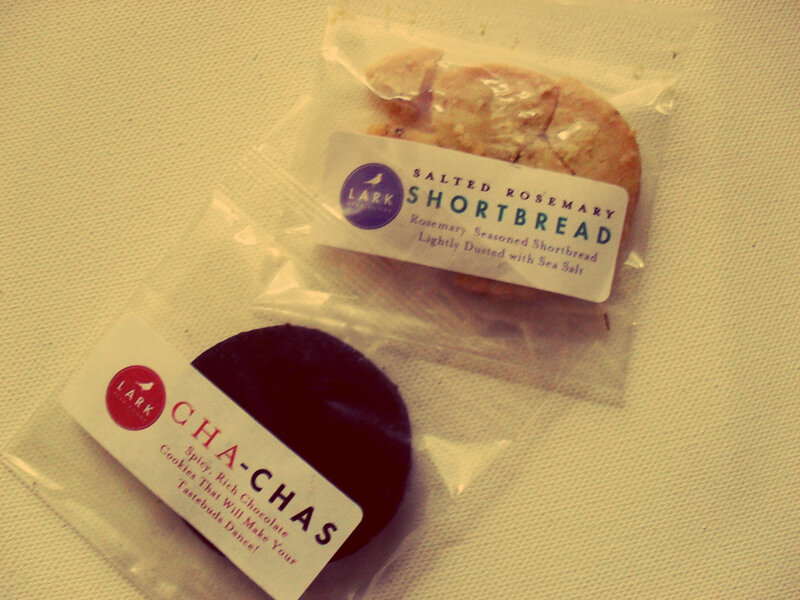 Lark Fine Foods cookies- I received a taster of both their Cha Chas & Salted Rosemary Shortbread. .I loved the chocolate Cha Chas- initially all you get is the chocolate flavor, but towards the end the spice hits the back of your throat quite nicely. It really reminded me of this Mexican hot chocolate my brother, sisters, and I buy every year at Columbus Circle’s Winters Eve event. The Salted Rosemary Shortbread was a favorite at my house. It’s pretty hard to mix rosemary and shortbread together without getting an almost soapy taste (at least in my experience)- but Lark does it right- these are packed with great flavor that is only heightened by the sea salt. 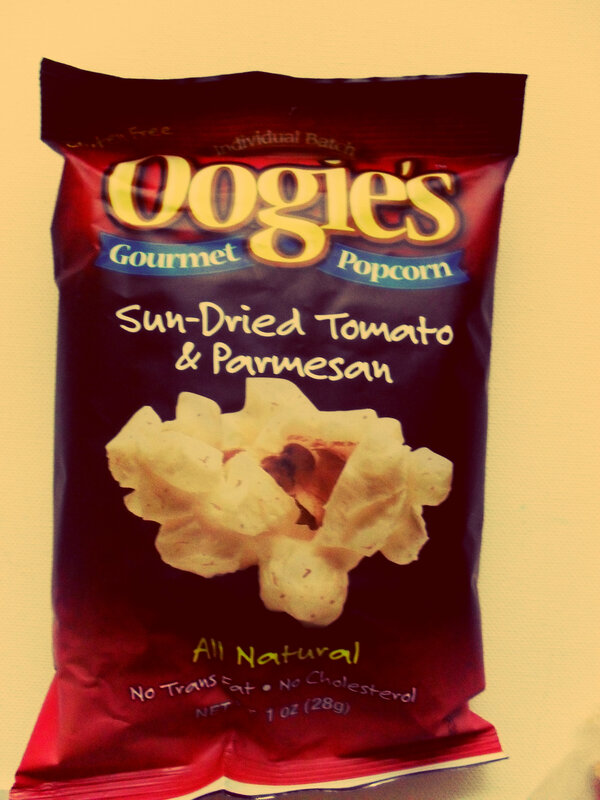 This stuff is addictive. We (the fam) almost broke out in a bar-style brawl for the right to lick the bag. I even taught the baby sis how to smash beer bottles properly – it’s really a science you know! Hey you! I don’t care if you’re my mother- get your grimy mits off my popcorn! .I loved the packaging on this bar, it really made me feel like I was unwrapping something special. Which was nice because my birthday and Christmas are in the Fall/Winter so I never get to unwrap something cool in the summer. This was a super delicious treat- which, much like birthday cake, I had to share (it’s pretty filling). 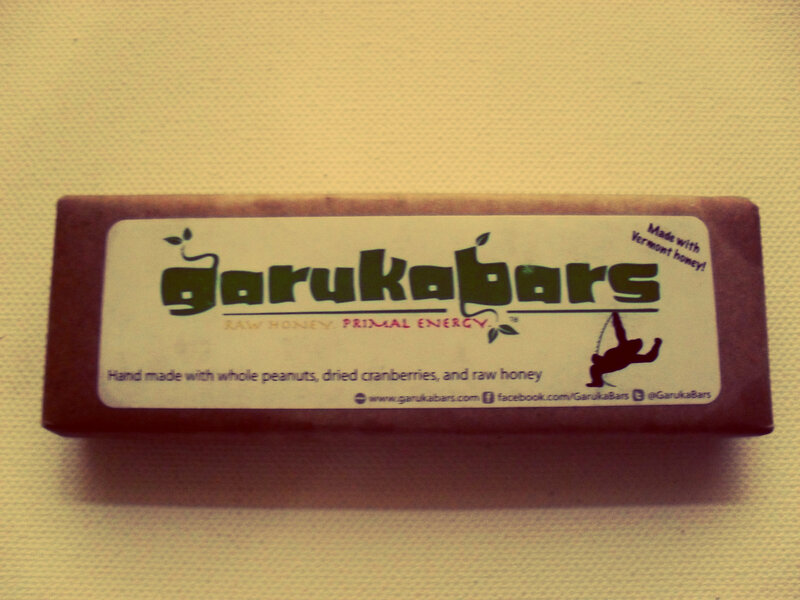 However, unlike birthday cake, Garuka bars’ natural raw honey sweetener provides long lasting consistent energy (which means it’s a great source of pre-exercise carbs)! .When I first pulled this out of the box my first reaction was “Oooh faaancy!” – in my best Fran Fine voice. And then I was like “What the heck do I do with this?” So I hopped on over to the Caramoomel site and found that this little jar of joy is best enjoyed with “herbed crisp breads, a selection of sharp cheeses, and good friends”. I’m ditching the friends bit because hey, I shared my Garuka bar already- which is my good deed done for the year- and also I’m not really good at sharing cheese never mind a jelly made of wine. All in all, this is an excellent box! It’s a fabulous way to discover uncommon, and exclusively artisinal products. Up until now I had never heard of any of these brands, and now I’m a massive fan! Foodie or not, a subscription to Petit Amuse is an sure-fire way to introduce yourself or somebody you love to good food, great brands, and new flavors- and for only $10 a month! See anything you like? You can purchase it at their online store here. 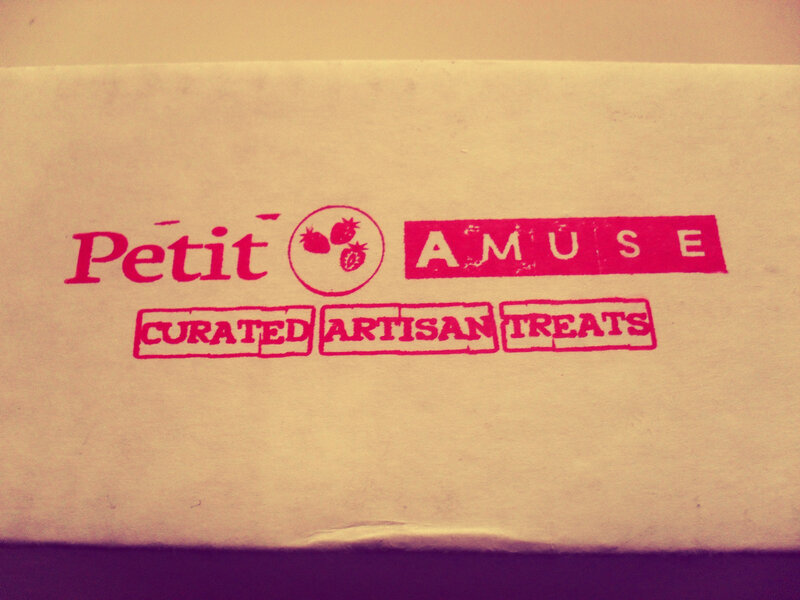 Want to try Petit Amuse yourself? Subscribe to their box here. Have any questions or comments- like them on facebook, or follow them on twitter, and let them know! Previous Post Find Free Local Beauty Events! Next Post My BlogHer ’12 Bag! What a crazy box to open! I’ve never heard of these snacks – but I’d love to try them! I would be willing to try some of these…never have seen any of them…look good! Those products look amazing, especially the ice wine jelly! Cool. sounds interesting! Always love gourmet foods! These treats all look scrumptious – I would have been most excited about the shortbread cookies from Lark Fine Foods! 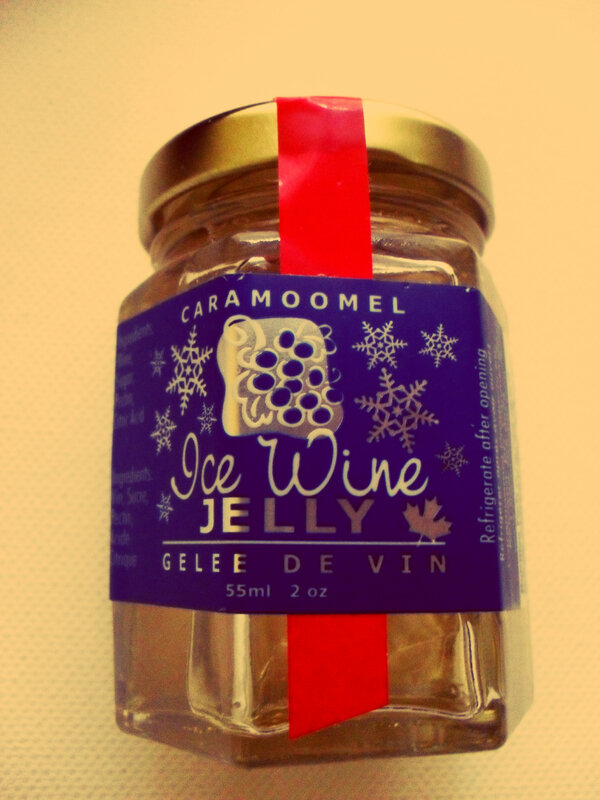 ice wine jelly sounds fun! did you eat it with some herb crackers? Interesting stuff. Nice way to try new things. this looks like a super awesome box! i’d love to get or buy one of these! thanks! I would love to try this and review! !